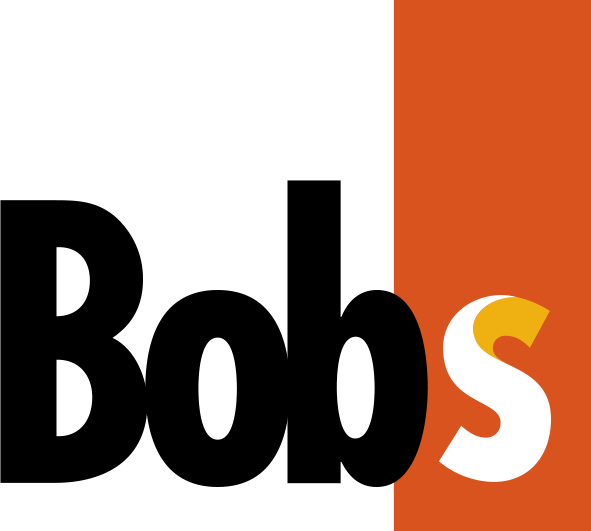 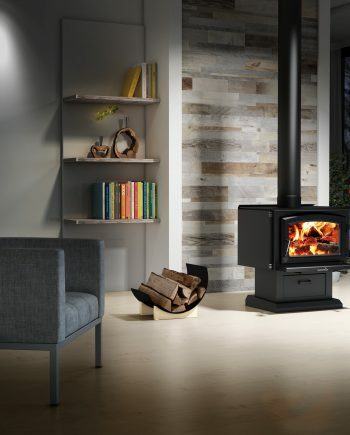 The Solution 3.4 is the ultimate device for people who want all the power possible from a wood heating system. 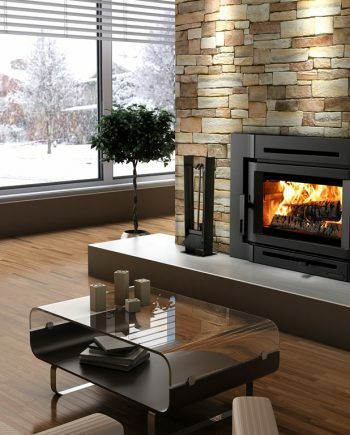 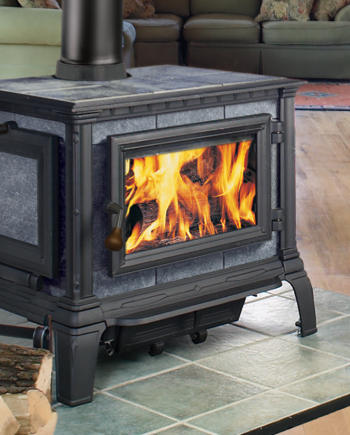 Its huge 3.7 cubic-foot firebox holds 22-inch logs and provides an outstanding burning time. This appliance also has a baffle molded in C-Cast, a light and revolutionary refractory material that guarantees exceptional durability. 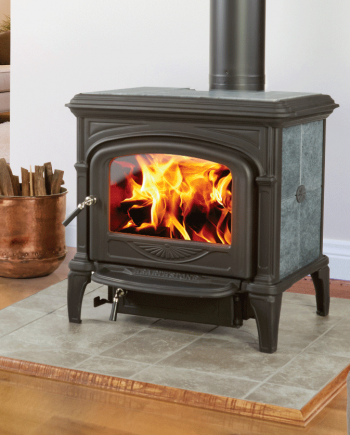 The weighted average of particulate emissions produced by this appliance comes to less than 3.8 g/h, making this stove one of the cleanest units in its range. 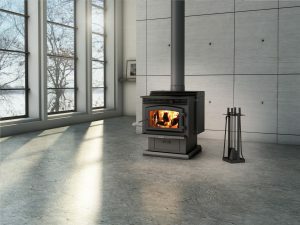 Check out the technical specifications of the Solution 3.4 to find out more about the many features, including a 3/8” steel top and a blower, that make up this unique product – and make the dream your own.